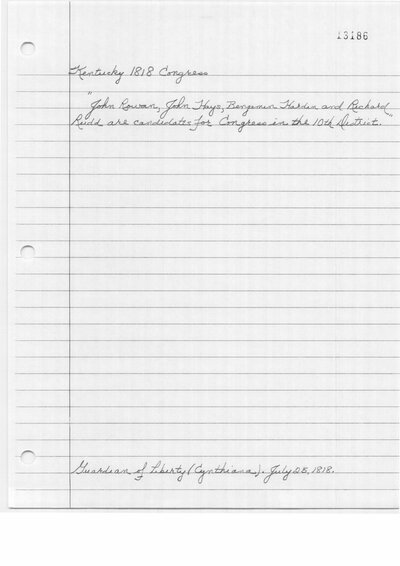 The Kentucky Reporter (Lexington, KY) lists 635 votes for John Hays. Guardian of Liberty (Cynthiana, KY). July 25, 1818. Kentucky Gazette (Lexington, KY). 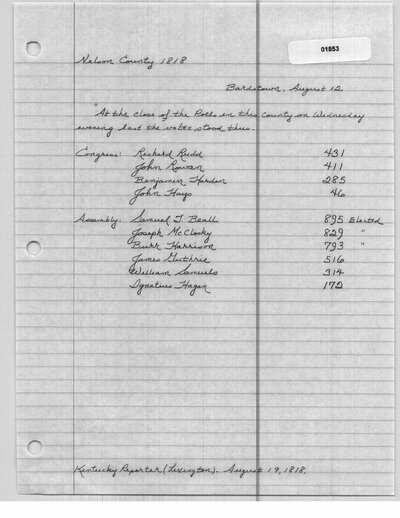 August 12, 1818. Kentucky Reporter (Lexington, KY). 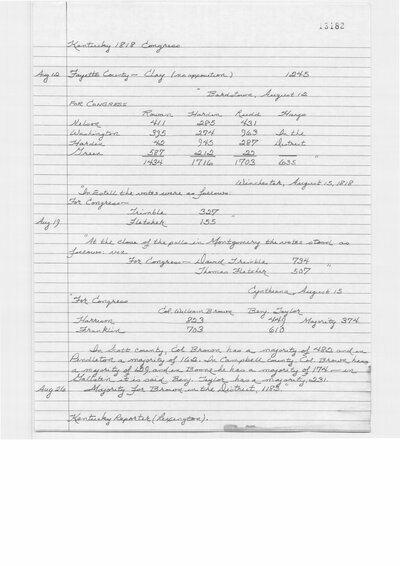 August 19, 1818.